In our selections you won’t come across children’s jackets often and we were thinking of slowly making up for that. 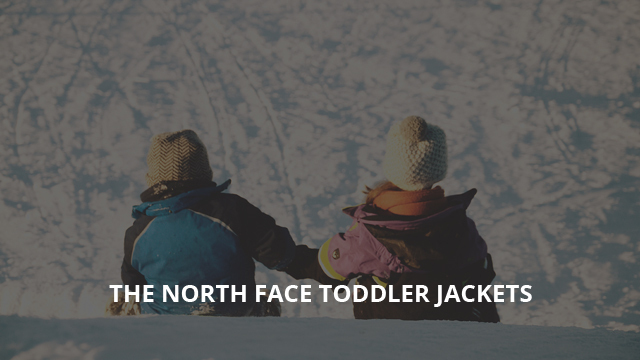 Today, we will look at 8 beautiful jackets for toddlers, for both boys and girls. Included there will be unisex options, too, because some of these designs are suitable to be worn by all toddlers. We have picked all of them from one single brand, The North Face. 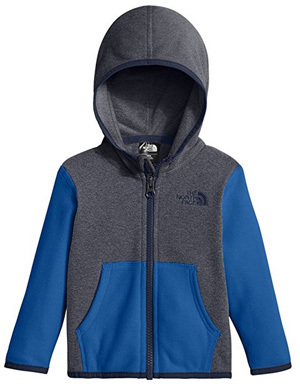 A heavily featured brand in our selections and reviews, The North Face has some great jacket designs for all ages, including junior and younger options, hence this selection. What we really liked about these jackets is the ID labels on the inside, where the child’s name can be written in order to keep them safe. Now let’s take a look at what we have selected today for your toddlers. We will begin with Glacier, a unisex jacket that is made of 100% Polyester. It has a hooded collar and zips in front, but the design itself is made to resemble a hoodie when the zipper is closed. There are two open pockets on the sides, in a split kangaroo pocket design, which help to keep the hands warm. This is a fleece jacket, which is very lightweight, durable to wear and tear and most importantly anti-pill, so you won’t have to worry about it wearing down and losing its shape and abilities any time soon. There is chin guard on the collar, which will keep the chin and neck protected from the main zipper. The sleeve cuffs and hem are elasticized, so they will fit better. This jacket comes in ten colors, including: Black, Algiers blue loom, Blue wing teal rainbow, Graphite grey / Classic green and Jake blue pixel. Continuing with another unisex jacket, this is the kid’s version of the famous Thermoball jacket, one of the brand’s best sellers. 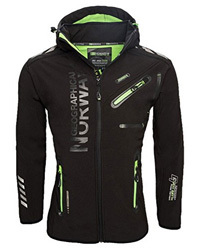 Made of 100% Nylon and insulated with ThermoBall insulation, this jacket is highly water-resistant and very warm. Being a synthetic insulation, ThermoBall is able to maintain its insulating ability even when wet, so there is no reason for concern if it suddenly starts to rain or snow. It comes with a hooded collar, which is elasticized for a better fit. Also elasticized are the sleeve cuffs and the lower hem. The pockets are in a split kangaroo pocket style and the main zipper is water-resistant, with chin guard on the collar and a back placket for added protection. There are 9 color options, including: Turkish sea, Blue Curacao, Bright cobalt blue. 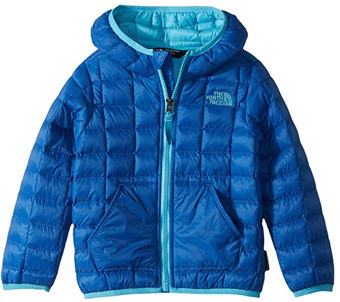 Moondoggy is a boys’ jacket, with 550-fill power goose down insulation. This is a very warm design, suitable for harsh temperatures. The best feature of this design is the fact that it is reversible, so it can be worn on both sides. 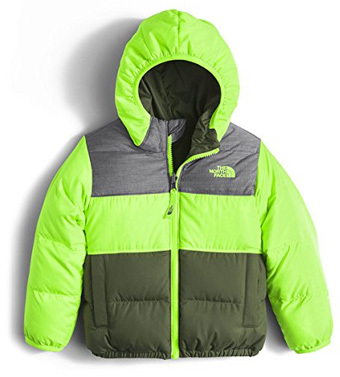 One of the sides in bright Neon Green, which is suitable to wear in bad weather and dim lights to keep the child safe and visible at all times. The hood is attached and elasticized, as are the cuffs and hem. It comes with two large pockets on the sides and with chin guard on the collar. There is one color option called Safety Green. 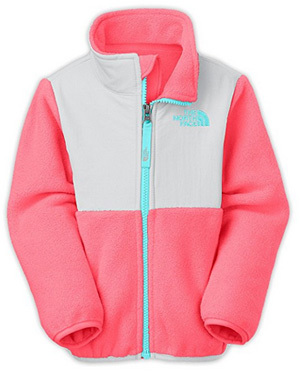 Moving on to a girls’ jacket, Mountain View Triclimate is a 3-in-1 jacket that can be worn year-round. It is made of Polyester and like all 3-in-1 jackets, comes with two layers, which the child can wear separately or put them together for when the temperatures really drop. 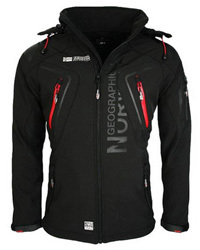 The outer jacket is lightweight and waterproof, with fully sealed seams. Apart from that, it is also breathable so there won’t be any excessive sweating or discomfort. The sleeve cuffs are adjustable with Velcro and there are two zippered pockets on the sides. The inner jacket comes without a hood, unlike the outer one. 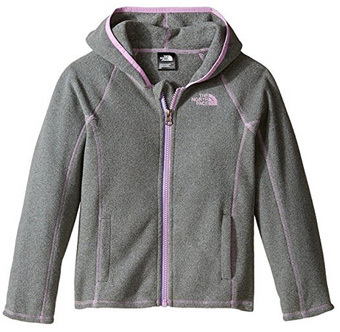 It is warm and insulating, made of soft fleece and has two side pockets, for when worn alone. There is one color option available called Ice Green. 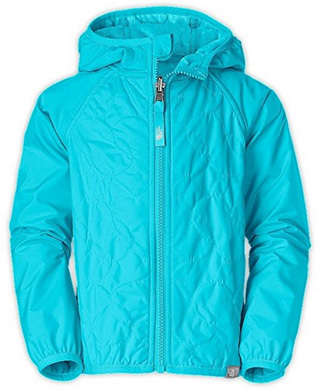 Another jacket for girls, Denali is the kids’ version of the original Denali jacket for men and women. 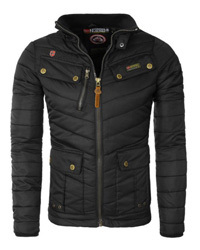 It is made of Nylon on the upper part of the chest, while the rest is 100% Polyester fleece, very soft and insulating. The sleeve cuffs and lower hem are elasticized so the jacket will be completely closed off from the outside temperatures and conditions. The main zipper comes in a bright Turquoise color and there is also chin guard on the collar, which comes without a hood. This jacket is available in the color Pink-White. 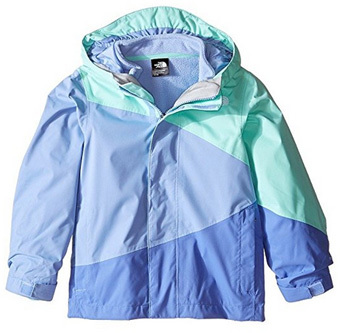 On to a unisex jacket, Glacier is another version of the first one and it also comes in a hoodie-like design. The material is 100% Polyester fleece, which is very durable and anti-pill. It is a lightweight jacket, suitable for both outdoor and indoor wear, with Raglan cuffs and hem. There are two welt pockets on the sides and there is chin guard on top of the main zipper. It comes in two colors: Red and Medium grey heather. Rev Lil Toddlers Bree is a waterproof jacket, which withstands heavy raining. It comes in a beautiful design, with elasticized sleeve cuffs, hem and hood. The elastic in the hood makes it fit snuggly on the head and the chin guard in front prevents zipper chaffing. The inside is lined with teddy fur, which is soft and fuzzy, providing not only insulation and warmth but also comfort. There are two side pockets on this jacket and the stitching details on the body create a beautiful pattern. This jacket is available in the color Turquoise Blue. 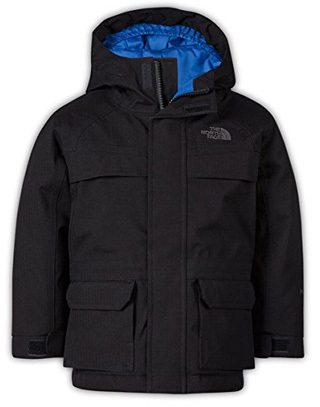 Lastly, another kids’ version of a very popular The North Face jacket, McMurdo is a down jacket with 550-fill power down insulation on the body and synthetic insulation on the sleeves. Made of 100% Polyester for the shell and inner lining, this jacket comes with a high, hooded collar and a placket-covered main zipper. 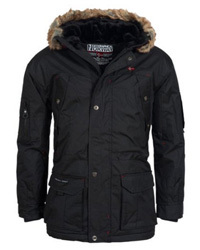 It is a jacket for low temperatures, with a water-resistant shell. There are four square pockets on the outside and the sleeve cuffs are adjustable with Velcro fasteners. This is a jacket for boys which comes in the color Black. Previous Article← Parka vs. Jacket: What Is The Difference?